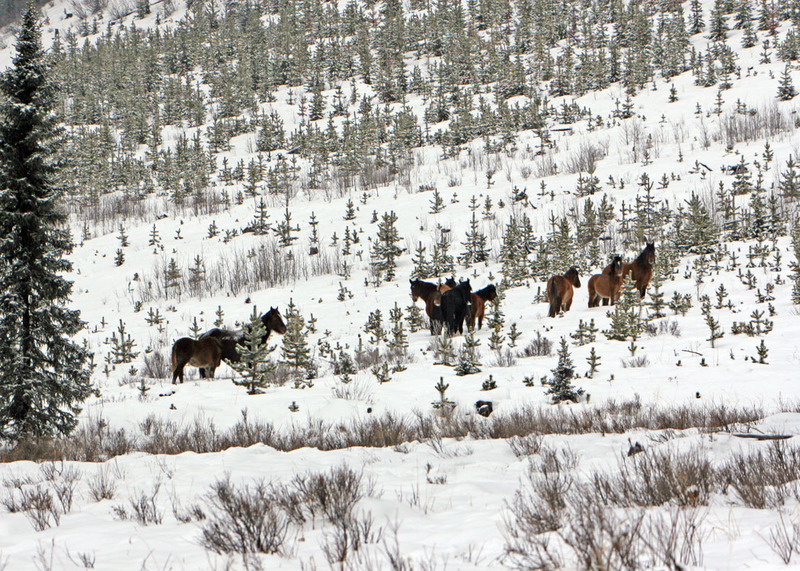 I received several e-mails and visits from individuals telling me about the Alberta Government rounding up the wild horses of Cutoff Creek. 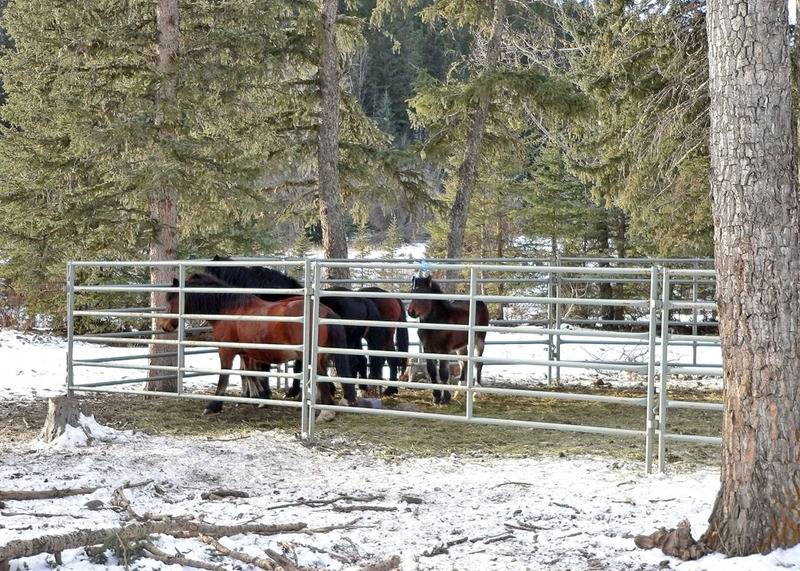 An individual was hired and with government assistance moved in capture pens into this popular equestrian area. This capture program took place at the end of December and is continuing here into January 2011. I have reports that at least 16-18 horses have been removed from this area so far. 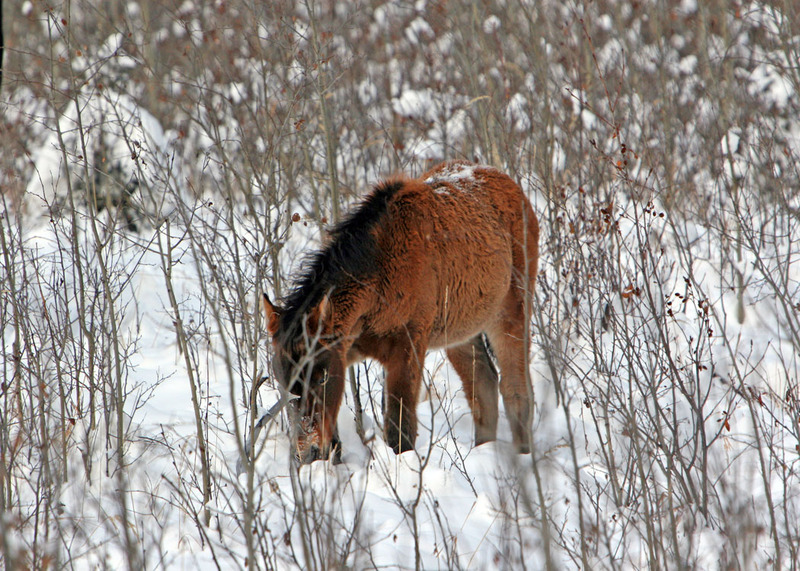 It is most likely that a majority of the wild horses were adults. As a result they would only be sold to meat buyers and are destined for the slaughter plants. Further I was told that Sustainable Resource Department who controls this and administers the Stray Animal Act and Hortse Capture Regulations are now intending to move down into the Yara Creek area to remove more horses. WHOAS’s believes that the wild horses are not causing a problem to the point that they have to captured and sent for slaughter. If there is a reason to remove some of the horses, SRD who seeks our co-operation have not tried to inform us in WHOAS, of their intent and reasons. There may be justified reasons (? ), to reduce numbers but the Government of Alberta just continues with their own mandates, probably listening to big money interests. This is despite the fact that a majority of Canadians object to the harming of our Wild Horses. The capture pens had a license number, as required by the regulations. It was HCKL-CW 922-11 and the SRD official in charge of the wild horses. David Livingston who is out the SRD office in Rocky Mountain House, Box 1720, Rocky Mountain House, AB., T4T 1B3.